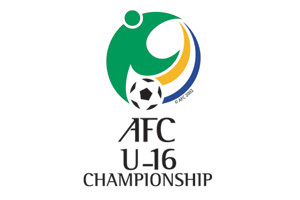 Korea Republic started their 2011 AFC U-16 Women’s Championship campaign with a dominating 4-0 win against Australia at the Olympic Sport Centre Stadium. Kim So-yi stood out in the Korea Republic attack with a brace, while her clever runs caused the Australians no end of problems. Lim Hee-eun and Namgung Ye-ji also scored to complete a convincing win for the defending champions. The Australians were never in the game as they were unable to live with the Korean attacking flair. Both teams started aggressively by looking to attack in the first 15 minutes. However, Korea Republic quickly began to establish their superiority and Kim missed an easy opportunity when she hit her shot straight at goalkeeper Penelope Edmonds. But their hard work paid off when an unmarked Kim found the back of the net in the 19th minute. Lim made things worse for Australia ten minutes before the break when she ran from midfield, bursting through the Australia defence and beat Edmonds. The Koreans might have been ahead by more going into the interval such was the fluency of their attacking play and ability to keep possession of the ball. There was an evident gulf in the class of the two teams as Korea Republic continued to dominate after the break, deciding not to rest on their laurels and go for more goals and they opened the second half with another fine strike by Kim to make it 3-0 just two minutes after the restart. Australia could have given themselves hope of an unlikely comeback, but winger Meg McLaughlin could not add a finishing touch to two well-constructed moves early in the half. The team’s growing nervousness at the back was clear as the Koreans easily made inroads into their opponents’ half and launched attacks from both flanks as the second half wore on. To their credit the Australians tried to push for a consolation, but got no change out of a solid Korea Republic defence. Instead it was the defending champions who made the score line even more emphatic in the dying minutes. Namgung ran from the 18-yard line and, holding off the Australia defenders, slotted the ball into the net to complete a successful opening game for her side.